German leader Angela Merkel faced the press on Monday after her conservative Christian Democrats (CDU) suffered their worst ever result in Berlin, at local elections, in the latest sign of a backlash against her open door migrant policy. Declining to say whether she will stand for re-election as Chancellor next year, she also refused to repeat her mantra on the refugee crisis: “We can do this,’ acknowledging that some may have objected to the catchphrase. “It is a term that states a position and a goal,” Merkel told reporters in the German capital. In prepared remarks, she said she would do things differently if she could go back again and prepare better to cope with the influx of around one million migrants who flooded into Germany last year, many of them fleeing conflicts in the Middle East and beyond. “If I could, I would turn back the time by many, many years,” Merkel said, sounding particularly sombre. While not the winners of the vote, there were celebrations at the headquarters of the Alternative for Germany (AfD). Voters backed its anti-immigration stance, propelling the party into its 10th regional state legislature. “The fact that the AfD exists is a symptom of the failure of the traditional parties, who have lost the ability to solve problems,” AfD leader Frauke Petry said. The AFD came third in Berlin, with 14 percent of the vote, but it is the trend that is interesting. 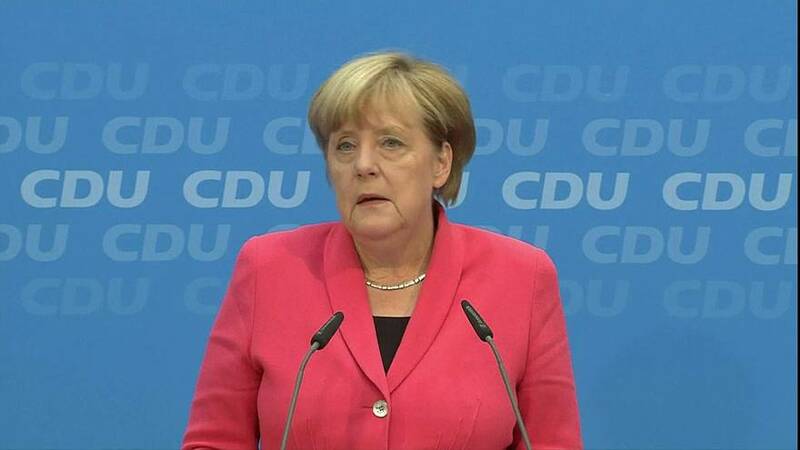 Both Angela Merkel’s CDU and the winners in Berlin, the centre-left SPD, suffered a significant drop in votes. At 17.6 percent, the CDU’s score was down from 23.3 percent in the last election in Berlin in 2011. The second regional election blow for her party this month, it does not bode well for Merkel, Europe’s most powerful leader, with national polls looming in 2017.